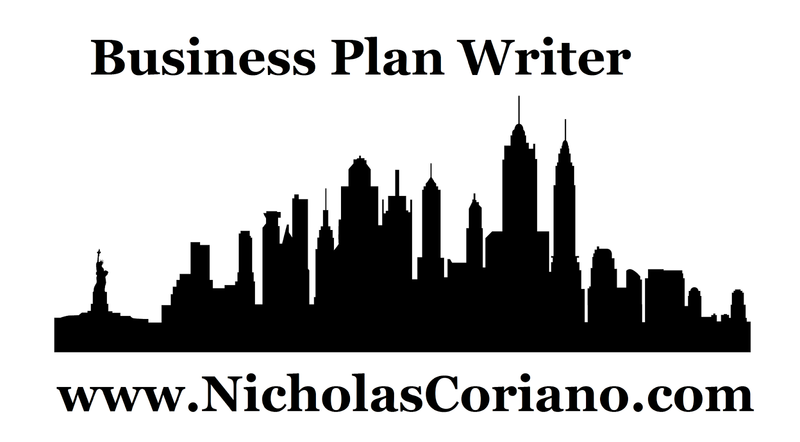 If you are looking for a NYC Business Plan Writer, than look no further. A quick search for New York City Business Plan Writers online will yield a daunting number of "service providers" claiming to be "experts" on writing business plans and consulting. The wide selection may drive the entrepreneur into dis-pear, but fear not, whether you are looking for a small business plan pitch or an over-the-top business plan to wow investors, you have found your NYC Business Plan Writer. On Demand, Nicholas Coriano takes the train into New York City to write, research and meet with clients seeking to develop a business plan. Based 40 minutes outside of New York City, the close proximity allows you to hire a business plan writer that is professional, experienced and cost-effective. And it's not just that you found a NYC Business Plan Writer...you found an entrepreneur, CEO, consultant and more. From entrepreneurial experience to a well vetted education, you are hiring someone with a solid foundation to help your business succeed. Time and time again, past clients agree that the innovative financing solutions and creative thinking are the reason New York City residents continue to retain Nicholas Coriano as a business plan writer. If you have any questions or would like any additional information about hiring Nicholas as your New York City Business Plan Writer.....text or call 203-685-0346 (leave a message if Nick doesn't answer) and Nicholas will be happy to answer any inquiries you may have.